It was hard to narrow down the best of the season, but here are some of Kim's season highlights! When selecting my staff for each trip I look for passionate skiers who offer a variety in coaching techniques and understand the job is way more than just skiing. My all-star cast this season is three of the best in the biz: Ruth Demuth, Emily Heikinen and Laura Morvay. I love working with these amazing women! I’m honored that Barb McFarlane, Peter Marczyk, Jeannie and Tom Coulhurst, Bruce O’Donnell and Ken McLagan hired me to guide them for a week. Japan in January is the place to be. If you love skiing powder and enjoy adventure, why not ski the snowiest place in the world? This Colorado crew charged hard every day, dove into the culinary uniqueness of Japanese cuisine and made me a member of their exclusive "Winter Park Club." This photo was a taken at Rusutsu resort, a rare moment when we actually saw the sun. Discovering Iwanai Snow Cat Skiing was the highlight of week two in Japan. We were one of the first groups to experience this new operation located on the Sea of Japan. It is an old resort with no lifts and endless runs of perfect powder. Iwanai will be a sure stop on the Japan tour next season! Thank you Geoff Benham for snapping this shot of me. Two weeks at Alta’s Rustler Lodge is a very sweet gig. Alta is one of my favorite places to ski in the world and the Rustler Lodge is classy, comfortable, unpretentious, amazing service and even better food. Week one was a Women’s Ski Adventure and week two was a coed Steep Skiing Camp. One of the many highlights in Alta was working with my long time friend and K2 teammate, Heather Paul. This girl can teach, ski and have fun all while sharing that beautiful smile! 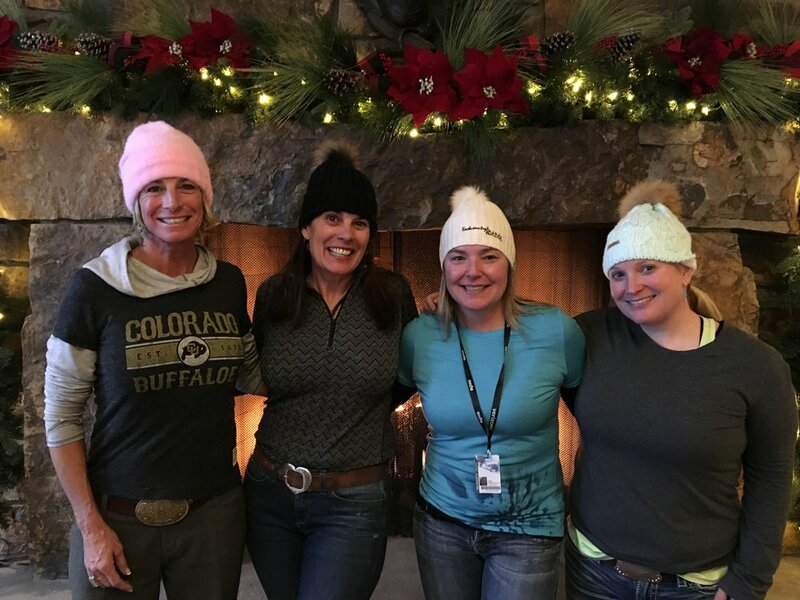 K2 Ski Alliance athletes and friends, Heather Paul and Kim. Home sweet home! I love sharing my home hill with my guests and this coed Steep Camp was packed full of fun and adventure. We skied hard every day, hiked Highlands Bowl, danced on tables at Cloud Nine, cross country skied to Ashcroft, saw live music at the Belly Up and ripped up some Colorado chalk. Once again my staff was what made this camp spectacular, thanks to Tim Lawler, Scott Kane and long time local ski partoller Mike Britt. I’m so lucky to work with talented, passionate, fun skiers who understand that skiing isn’t serious. Thank you Matt Power for shooting such spectacular photos of our trip in Aspen. Our timing could not have been any better with two of the best snow storms of the season while we were there, making for perfect conditions at the resort and snow cat skiing with Steamboat Powdercats. All week long people kept telling us, “these are best conditions we’ve had all year.” It’s always good to be lucky! Quick photo break from powdercat skiing with the ladies in Steamboat.